Fire Check Consultants offer a huge variety of fire safety engineering services and make sure each project is tailored for each site’s specific needs. With nearly 20 years of experience in fire safety and fire protection engineering, you can rest assured that you have chosen the best fire safety consultants in all of Australasia region to deliver you a personal and reliable service. Fire Engineering is still a relatively young discipline and one which we have been instrumental in driving. 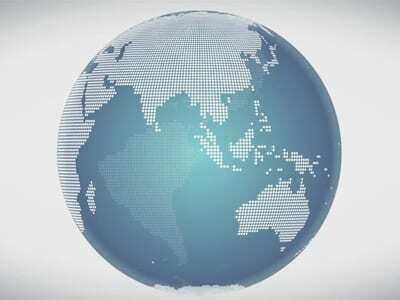 We want to continue to drive the industry through knowledge and innovation, making the world a better, safer place. We follow the five stages of the Fire Engineering Process as set out by the International Fire Engineering Guidelines 2005 (IFEG, 2005). The preparation of the Fire Engineering Brief (FEB) forms the basis of the Fire Engineering Process by clearly outlining the non-compliance issues to be resolved and potential fire engineering solutions. We organise meetings with the relevant stakeholders to discuss the FEB and seek their input. This ensures a transparent and facilitative process where all parties have an opportunity to raise and discuss their concerns. We use several software for conducting the analysis and based on analysis, results are evaluated and conclusions drawn. 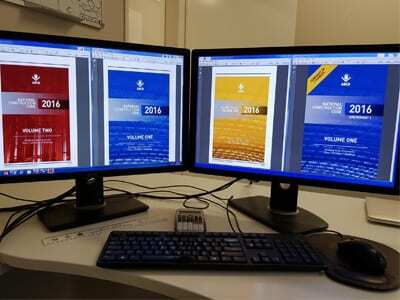 The Fire Engineering Report (FER) is prepared for review and approval by the relevant stakeholders. The stakeholders are encouraged to provide an agreement in principle to the FER upon which a final version is submitted to the Building Certifier for building approval. This completes the Fire Engineering Process. Fire Check Consultants have the expertise to undertake finite element modelling of structures at elevated temperatures. Our engineers can assess worst credible fire scenarios using Computational Fluid Dynamics (CFD) modelling to develop time temperature curves to be utilised in finite element models to assess the performance of structures under thermal stress. The models are able to assess moment and load distribution through the structure to determine if additional fire safety and fire protection systems are required. The model results are used to demonstrate reduced fire resistance level of the structural components with the performance compliances. We specialise in the development of Performance Solutions. 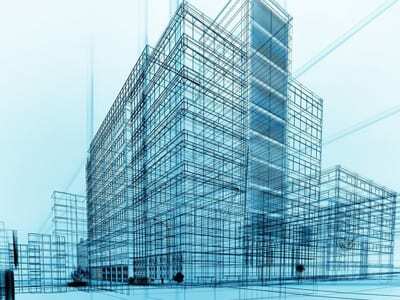 Part A0 of the National Construction Code (NCC) defines Performance Solutions as a building solution, which complies with the Performance Requirements other than by reason of satisfying the Deemed to Satisfy (DtS) provisions. The NCC, by being a performance-based code, allows Performance Solutions to encourage innovation, artistic creativity and cost savings by satisfying compliance with the Performance Requirements. This may not be available under a purely DtS option. Performance Solutions can be undertaken for all or part of a building. Performance Solutions enable designers to develop an innovative solution that provides the best outcome for the project. Each State and Territory’s legislation consists of an Act of Parliament and subordinate legislation which empowers the regulation of certain aspects of building work, and contains the administrative provisions necessary to give effect to the legislation. The National Construction Code (NCC) is given legal effect by relevant legislation in each State and Territory. This legislation prescribes the NCC to fulfill any technical requirements that are required to be satisfied when undertaking building work. 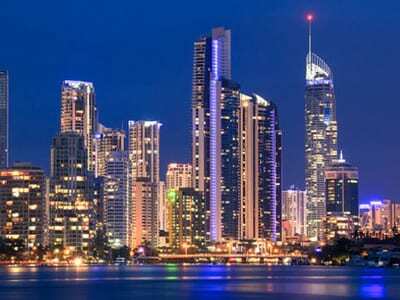 We have provided advice on NCC requirements for many prestigious buildings in Australia. We have also conducted NCC audit of all essential services as well as conforming compliance with state and territory regulations. If you are constructing a new building or refurbishing an existing one, we can provide you the best advice for implementing the NCC Deemed to Satisfy (DtS) or performance requirements. Our fire safety engineers and fire protection engineers are registered/licenced in all aspects of fire systems design, inspections, commissioning and witness testing. High-rise buildings are an increasingly common sight across all over the metropolitan cities. 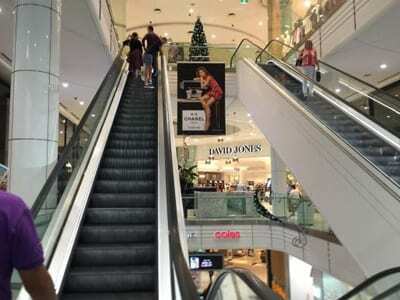 Space constraints are forcing property developers to construct tall high-rise structures, which in turn present unique evacuation challenges in the event of an emergency. Egress design needs to broaden its focus on improving safety of the building occupants. The building evacuation is generally affected by uncontrollable and random variables and causes the output to be random as well. FCC can design the egress facilities within the structure whereby a safe route is provided for occupants from any point in a building to escape in case of fire without outside assistance. Normally, no mechanical or other device is relied upon like use of lifts, chute ladder devices and others. 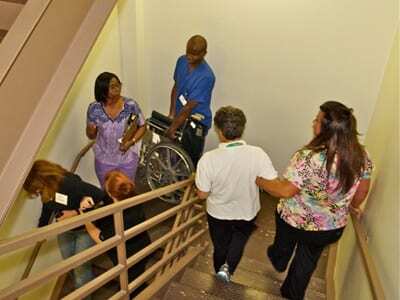 We have capabilities to introduce a lift as a performance-based solution for egress, in particular healthcare buildings. Smoke is the predominant cause of fatal casualty in building fires. About 70% of injuries and deaths are caused due to smoke and hot gases. FCC have extensive experience in designing cost effective smoke management system. The main aspect in the design of smoke management system is to maintain a tenable environment inside a building with the intent of providing safety and a clear path of egress to occupants in the event of a fire. We offer advice on smoke management systems including powered and natural smoke and heat exhaust ventilation systems, smoke containment, car park ventilation, shaft ventilation and pressurisation systems. We also offer advice on specifications for the upgrade of existing smoke management system in buildings. Fire Check Consultants have the wide experience and tools necessary to carry out detailed Computational Fluid Dynamics (CFD) simulations to determine the effects of fire and calculate the products of combustion within the built environment. 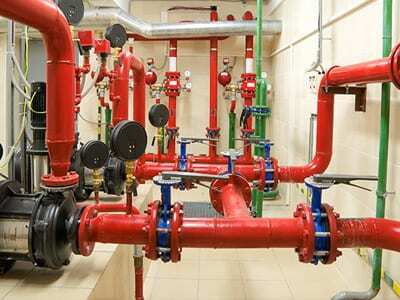 The output of the work can be used to assess human tenable conditions, determine smoke control system requirements, model fire spread and received radiant heat, model fire detector and sprinkler activation times, and determine the effects of fire protection systems. 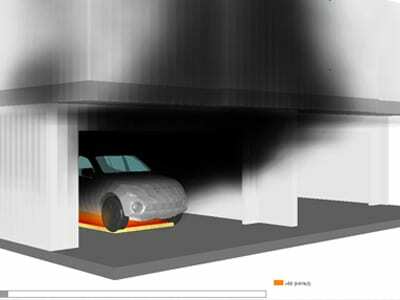 Our consultants can undertake three dimensional real time analysis of occupant evacuation during a fire condition. The modelling can be undertaken using a distribution of occupant characteristics including social behaviour, familiarity and movement speed. The results of the evacuation model can then be interlinked with the results of the CFD modelling to determine the tenability conditions in escape routes. The results of such analyses are very useful in determining fire safety system requirements and for demonstrating fire safety compliance with regulatory authorities. An important aspect of the fire safety is the fire risk assessment (FRA) for the building. The FRA is a requirement for many buildings under the local legislation, which may be used to develop a fire strategy for the building. 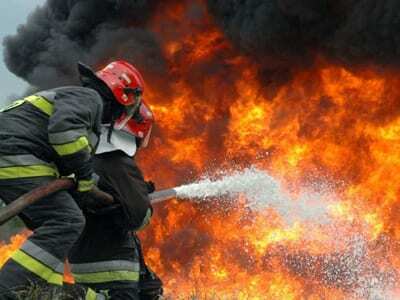 Fire Check Consultants are able to conduct FRA and prepare fire strategy documents. Our consultants can assess the building for means of escape provisions for developing a full evacuation strategy. Combustible building facade acts as a stack and accelerates the rate of fire and smoke spread toward the building envelope. 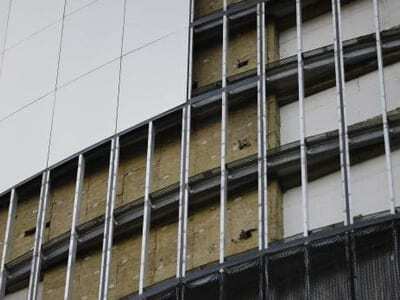 Aluminium Composite Panels (ACPs) are commonly used by designers and builders worldwide as feature panels or lining to provide a decorative finish to the external walls of buildings. Based on recent events, building insurers and authority having jurisdictions have upped concerns in relation to combustible ACPs due to a spate of external facade fires. Audits being conducted across many cities in the world revealed that many buildings have external cladding that doesn’t pass the current test, potentially leaving those buildings uninsured in the case of fire. Fire Check Consultants can determine the extent of use of non-compliant external wall cladding materials that could deteriorate into unsafe conditions and suggest a range of possible mitigation measures. Our consultants also use several risk assessment tools to determine the overall risk of building in relation to facade fire spread. Increased public complacency to alarm activation’s. We have been involved in a number of Unwanted Alarm projects, which have lead to successful outcomes for business and building owners. An Unwanted Alarm assessment is able to analyse the cause of Unwanted Alarms and recommend the most economical form of addressing the issue. We are able to investigate whether a Deemed to Satisfy approach or Performance Solution approach is the best manner to resolve the Unwanted Alarm issue. Fire sprinkler activation can be caused by mechanical impact, thermal changes, excessive pressure inside the fire protection piping, or from an underrated fire sprinkler installed in a location where the temperature exceeds the rated temperature for that head rating. Mechanical impact during sprinkler fitting may result in frame, fusible link/strut/hook damage, which can alter the pressure setting on the fusible link, resulting in delayed leaking/activation. Immediate separation of fusible link assembly may also result, leading to unwanted activation. Our experts conduct site visit and collect all the evidence and information, and determine the most probable cause of unwanted fire sprinkler activation. We can undertake a Fire Safety Audit of your building or site. The Fire Safety Audit assesses the building for compliance with the NCC, relevant Australian Standards and the State/ Territory Building Fire Safety Regulations. This involves performance testing of essential services within the building and ensuring that the results are compliant with the standards in force at the time of audit. The audit findings also provide recommendations on how to remedy any non-compliance’s that were identified. We can also supervise witness testing of fire protection equipment required to prove compliance. 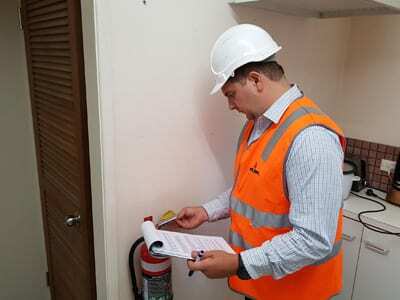 Fire Safety Audits and Reports are of particular use to demonstrate compliance with the relevant codes to building approval officers, certifiers, councils or insurance companies. Confirming compliance with the NCC ensures building is fit for the purpose of occupancy and has a minimal risk to life safety and its content property. We can prepare “Fire and Evacuation Plan” for your building and assist building management and occupants to understand the plan and impart training at the time of drills. 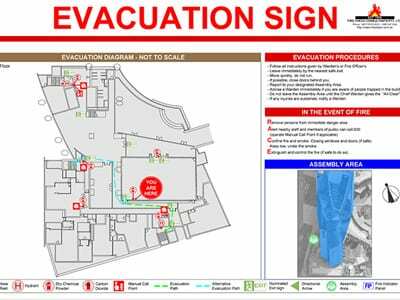 Generally, it is a legislative requirement for the occupier of a building to maintain a fire and evacuation plan and to provide adequate instructions to occupants concerning the action to be taken by them in the event of fire. This is especially important where the building work has involved a performance solution that includes a fire safety management procedure as a condition of the occupation and use of the building. 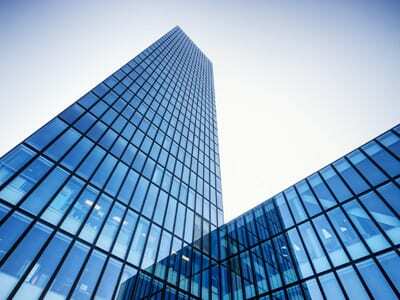 The building management is required to keep a copy of the building’s Fire and Evacuation Plan along with the relevant approval documents for the building. A relevant approval document includes any approval document for the building that is relevant to a matter included in the Fire and Evacuation Plan for the building. We can produce an asset register and bar coding schedule for a building’s fire protection equipment. This can be performed at the same time as the fire safety audit is undertaken. 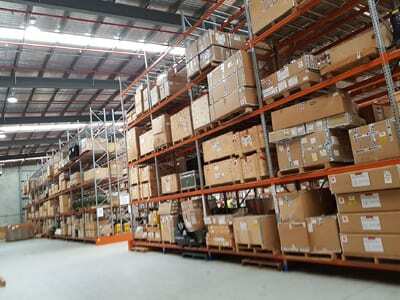 In addition to providing an asset register of fire protection equipment, the register enables more efficient monitoring and service of the equipment by building owners and maintenance contractors. We can undertake a hazardous goods inspection for your building or site. 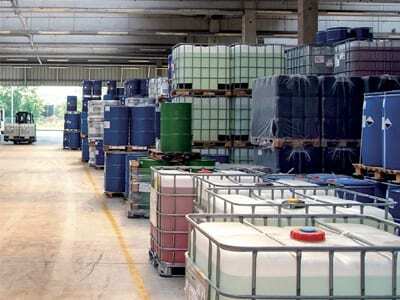 The inspection will assess the nature and storage conditions of hazardous goods against AS 1940 – The storage and handling of flammable and combustible liquids. 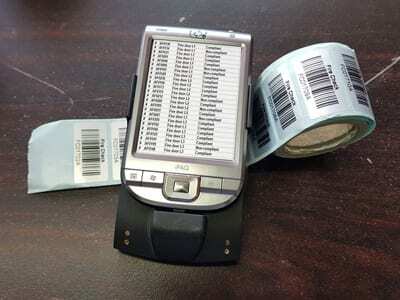 We can tailor the inspection to suit a specific hazardous goods item or compliance issue. The inspection findings are published in a report, which will also provide recommendations on how to remedy any non-compliance issue. Hazardous Goods Inspections and reports are of particular use to demonstrate compliance with AS 1940 to Fire Service Safety Assessment Officers or insurance companies. It is well quoted, “A little fire is quickly trodden out; Which, being suffered, rivers cannot quench“. It is therefore important that the fire must be controlled during its incipient stage and can easily be tackled by someone with the right training. For the success of Fire Safety Management Plan, it is essential that all building occupants must participate in training programme and everyone knows exactly what is to be done in case of any fire emergency. Fire Check Consultants can organise regular fire safety training to employee and make them familiar with the existing fire safety and fire protection arrangements in the building and action to be taken in the event of a fire. 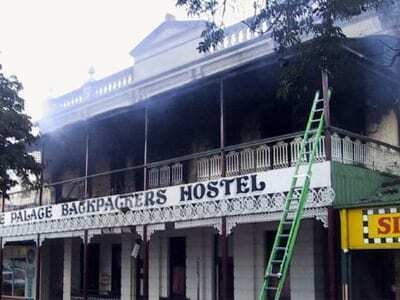 Childers Hotel back packers fire for QFES. NSW Transit authority passenger carriage fire. Binary Industries shed fire at Narangba for Environmental Protection Agency. Pimpama Fire pump shed fire for Qld. Dept. of Housing and Public Works. Once the investigation has been concluded, we are able to determine whether a Deemed-to-Satisfy approach or Performance Solution approach to reconstruction is the best way forward. Recently, Australian Code and other international codes have permitted timber frame construction for multi-storey construction. 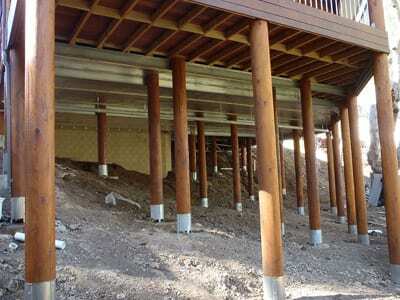 Timber frame constructions have different risks to those where traditional build is being used. Fire Check Consultants can provide the necessary documentation to show that the timber frame construction remains appropriate when considering fire resistance level and boundary conditions of the properties. 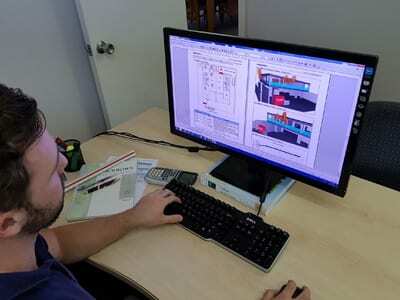 Such reports typically produce during the planning stage can be cost effective for the project. 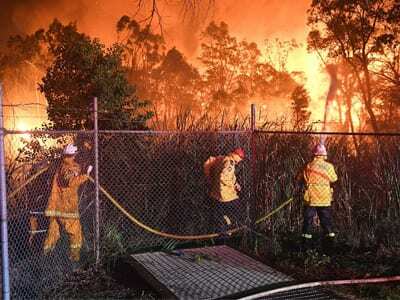 Bush fires are a real and constant threat to many residents and building owners in Australia. Unfortunately, there is no adequate precautionary measure adopted to reduce the risk of bushfire in existing bush land communities. The threat from bushfires is obvious in many existing bush land communities that border extensive native bush lands. It may also be a threat for property that does not directly communicate with the Australian bush. In certain conditions, attack by flying embers may cause fires that can damage or destroy properties that would otherwise appear to be a safe distance from the bush. Using our many years of experience in the fire industry, we can design bush fire structures to the traditional measures of hazard reduction in compliance with Australian Standard (AS 3959 –Construction of Buildings in Bushfire-prone areas) along with fire protection systems. We can also conduct audits of buildings and houses in bush fire prone areas to produce a report on how to reduce risk associated with bush fires. The Building Regulations require that any certificate given by a building certifier or a competent person about a building design or inspection must be in the approved form if it is to be relied on by a building certifier to perform building certifying functions. 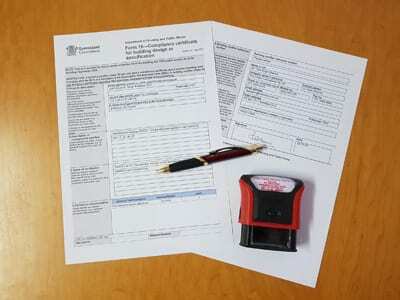 It should be noted that Forms 15 may be required in Australia, if the work is not within the expertise of the certifier. Form 15 must be used when a competent person is requested to provide a certificate for the matters relating to the design/ specification help they are giving to a building certifier. The certificate provided must cover such things as the design of a particular material, system, method of building or that a building element complies with the NCC. Our consultants can prepare “Form 15” for your building and assists to obtain compliance certificate from the certifier or council. If you got something that doesn’t confirm with the building code 100% but you still feel that it’s compliant, Fire Check Consultants are able to produce an ‘Evidence of Suitability’ report. We use engineering judgement to show equivalence with the proposed configuration against that of the required performance requirements of the building code. Some previous examples of ‘Evidence of Suitability’ are the use of two different passive fire rating systems to achieve require fire resistance level (FRL), use of interconnected local smoke alarms (AS 3786) instead of a required smoke detection and warning system (AS 1670), and removal of required fire extinguishers from unmanned, remote water treatment plans. If you have or are proposing to use a material or product in a way that may not comply completely with the tested system, please contact Fire Check to see if we can help out with an ‘Evidence of Suitability’ report. We undertake independent third-party peer review as a constructive process that will support the fire safety engineering design and assessment process and assist relevant stakeholders to make a sound decision about the suitability of proposed alternative solutions. The IFEG, 2005 recommend that the peer reviewer should be involved throughout the fire engineering process and in some instances, it may also be appropriate for the peer reviewer to be involved in the inspection, testing and commissioning stages of the project. This provides assurance that the analysis has been undertaken correctly and that the alternative solution will comply with the NCC, relevant legislation, codes and standards. We recommend peer review for large and complex projects, alternative solution relating to critical life safety feature, and difference of opinion of stakeholders on fire engineering issues. Our highly qualified and internationally recognised team of fire experts are able to deliver suitable fire engineered, risk based and assessed solutions on projects of all sizes globally. We are able to ensure that the design is adapted to suit local conditions with no lessening in fire safety measures. This includes fire engineering of both new-build and existing projects, inspection of buildings, fire risk assessment, fire safety training and post-fire investigation. Our focus has been primarily on achieving compliance with the NFPA and local standards. This has provided experience working with international (ISO), US (NFPA, FM and UL), and other national standards as well as in assessing local legislation and determining specific requirements in relation to fire safety globally. We can continue to monitor provisions through regular interaction with the clients.